The screen grab is from the end of the video. 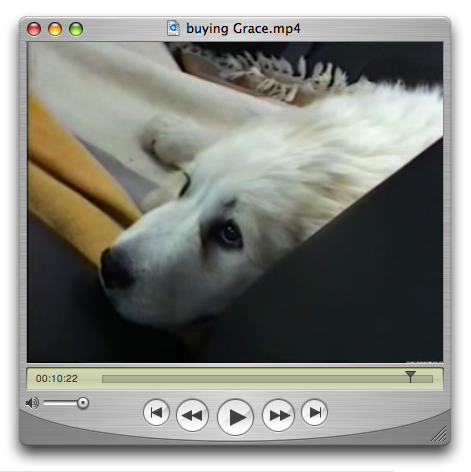 This video is from the very first day we met Gracie and brought her home to be part of our family nearly 9 1-2 years ago. The breeder is Donna Coffman from Rivergroves Kennel, my wife, Beth is in the blue patterned sweater and I’m the voice that sounds like Max Headroom.